Sweet Cheeks Adventures: Free Magnet from tinypints. We collect magnets, so this would be a perfect fit for me! Plus they're so cute and make great stocking stuffers! 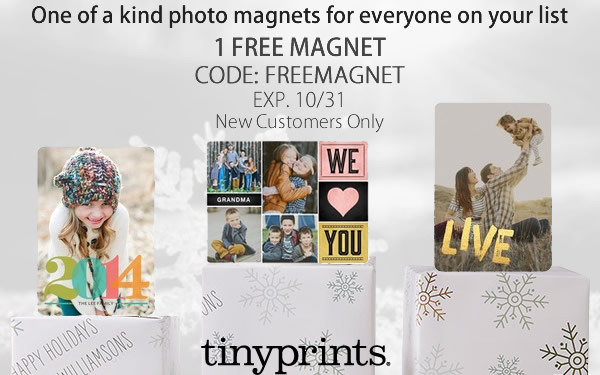 Enjoy 1 Free magnet using the code FREEMAGNET. Offer applies to new customers only and does not include shipping. So cute, I'm gonna go order mine right now, thanks!!! !